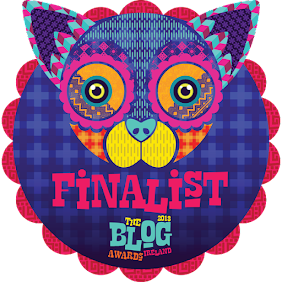 When I learned that Superdrug was to start stocking E.L.F cosmetics I was over the moon but disappointed that their skincare was not to be included. 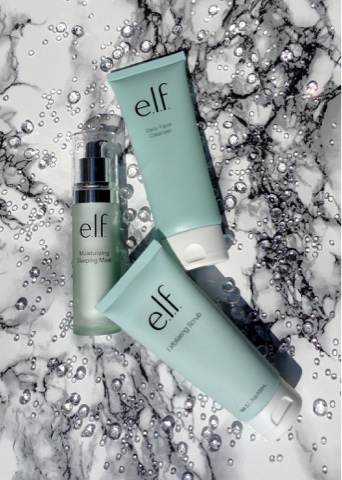 I first tried E.L.F cosmetics back in March of 2016 and found their skincare to be extremely good for a budget friendly brand and regret I didn’t get more while I was in the states. E.L.F stands for Eyes, Lips and Face; they believe that beauty comes from within all of us. Their line of luxurious cosmetics captures great looking skin with gorgeous colours and quality ingredients. Their products are designed to let your inner beauty shine through. 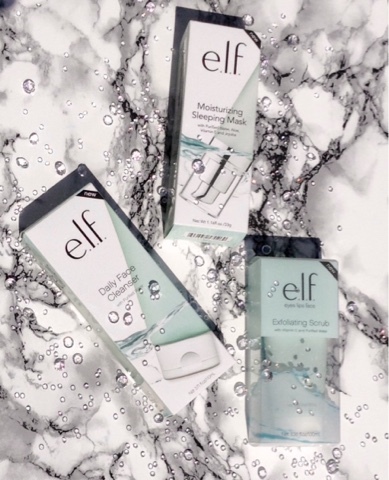 All ingredients used in e.l.f. 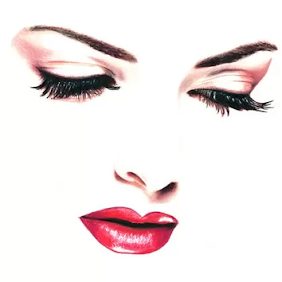 cosmetics are vegan friendly, safe and meet F.D.A requirements. They are proud to say that they do not test on animals or endorse such practices. They currently support PETA and collaborate with PETA in the Caring Consumer Project. All of their high quality brushes are now made with 100% synthetic, cruelty-free fibers and are vegan friendly. I picked up three skincare products Daily Face Cleanser, Exfoliating Scrub and the Moisturizing Sleeping Mask plus a huge amount of their makeup and I have to say I’m very pleased with what I got. 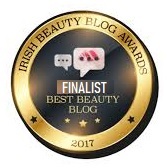 So without any delay let’s have a look at what I thought of the skincare. This smooth fresh silky cleanser with a slight scent removes every day dirt and grime from the skin without causing dryness. Applied to damped skin, you just massage, rise and out the door with you. I did feel let down when removing a full face of makeup, I felt there wasn’t enough power behind it if that makes? 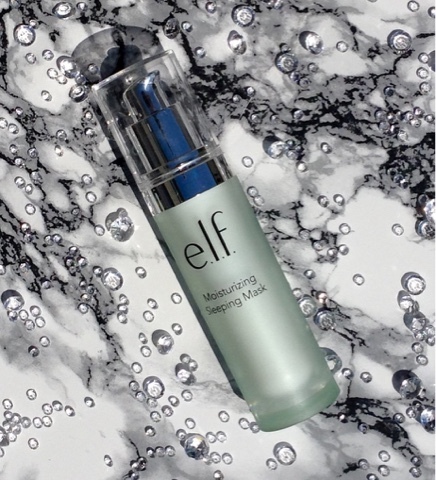 Until I learned to apply it on really wet skin and using a very soft cleansing brush to build up a better ladder that’s when I could feel and see the makeup melt away. 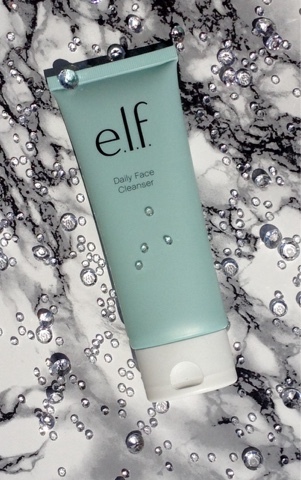 I quite liked this cleanser and I would probably buy again if only to use in the morning for a quick cleanse to freshen the skin up but don’t recommend it at all if you’re looking for a cleanser to deep cleans or remove heavy makeup. 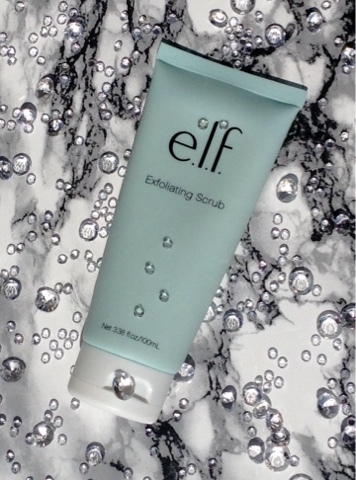 This is a very gentle scrub with a thick texture and little granules, it’s packed with skin loving vitamin E and infused with purified water and a little bit goes a long way. I exfoliate every 2 to 3 days and I could see and feel a difference after using it once. I was actually so impressed with this scrub I’m on my second tube and feel it leaves my skin looking healthy with a fresh luminous glow. I would highly recommend this scrub to anyone no matter what the age or skin type. Is a clear, leave-on mask that delivers hydration overnight so you awake to soft skin that looks refreshed and nourished. It is infused with purified water, aloe, vitamin E, and jojoba to help hydrate, soothe, and nourish the skin. This is more like a lotion, light in texture it’s not thick or heavy like your normal mask so I was a like spectacle of it, but like the cleanser I have been proven wrong. I have used this on its own and under a night cream and both ways work, there is no need to rise off in the mornings, in fact you don’t even feel the need to as it absorbs into the skin. I used this 2 -3 times a week during the winter months for that added boost when my skin is so dry it feels tight and I have to say I felt my skin hydrated and plump. 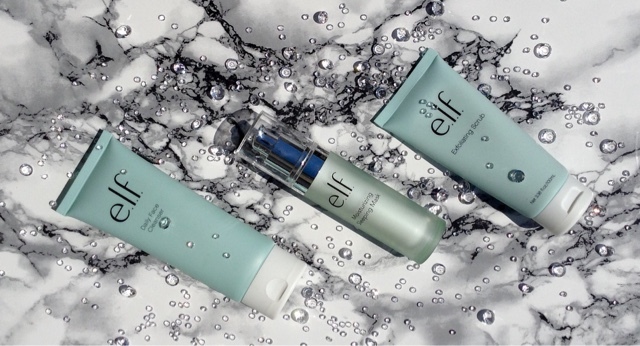 You can order E.L.F skincare through the UK here but it does cost a lot more than in the States. You can order direct form the States here but the shipping cost is crazy. If you or you know of someone travelling then I would suggest you pick some up while there.